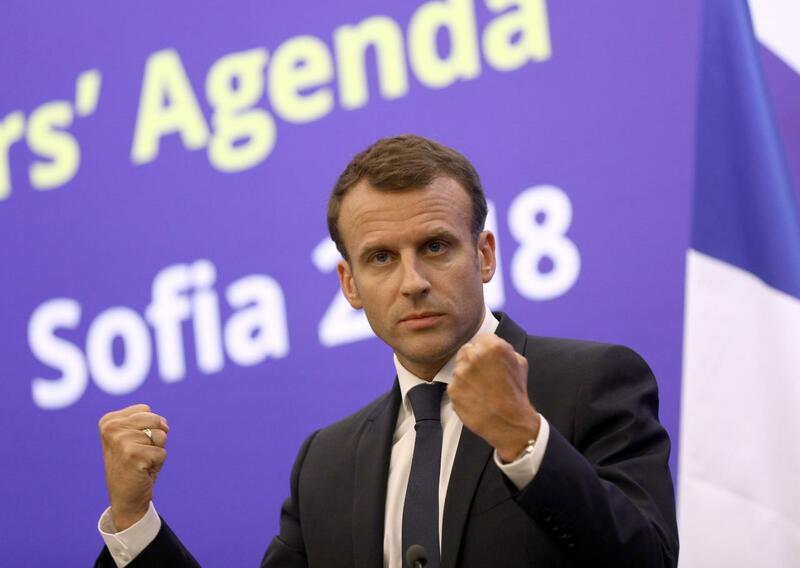 SOFIA: French President Emmanuel Macron ruled out on Thursday any trade war with the United States over its withdrawal from the Iranian nuclear deal as a wave of European companies quit business with Tehran, fearing the global reach of US sanctions. However, corporations face the choice of trading with the biggest economy in the world, the United States, or with Iran, risking sanctions and massive fines as well as losing access to the dominant US financial system. EU officials say there is no easy way to protect EU firms and banks from the US sanctions that Trump has reimposed and some big names are already heading for the door. European Commission President Jean-Claude Juncker said the EU executive would launch on Friday the process of activating a “blocking statute” – legislation banning EU companies from complying with US sanctions on Iran and which does not recognise any court rulings that enforce American penalties. “The EU blocking regulation could be of limited effectiveness there, given the international nature of banking system and especially the exposure of large systemic banks to US financial system and US dollar transactions,” financial services commissioner Valdis Dombrovskis told the European Parliament. “With the withdrawal of the US from the treaty the banks are no longer ready to fund Iranian projects for fear of secondary sanctions,” Danieli CEO Alessandro Trivillin said. Finnish mining technology company Outotec said US sanctions would slow down and complicate its ties with Iran but it was too early to say if it would leave.